Happy Tuesday!! 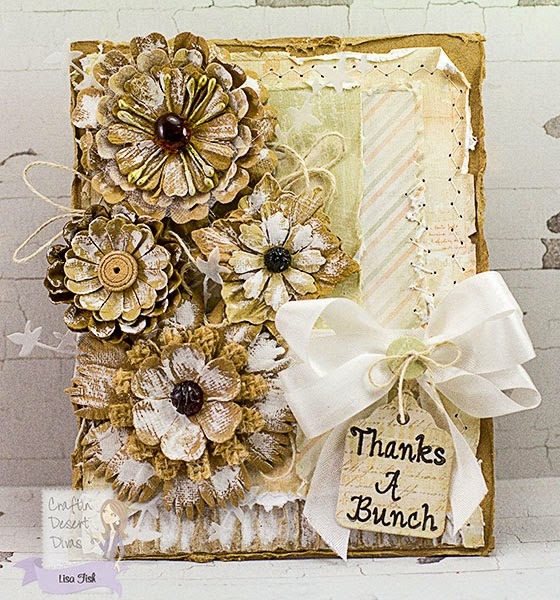 Lisa here to share a project with you today featuring the CDD Blooming For You stamp set. I just love this stamp set...so many cute sentiments plus the adorable bear!! 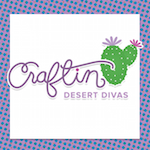 You can purchase this stamp set, as well as all of the stamps at the Craftin Desert Divas Shop. 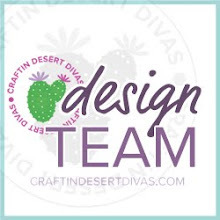 And we would love to see your projects using any of the stamp sets in our Craftin Desert Divas Gallery. You can find all the details for this card on my blog, A Mermaid's Crafts. I am having trouble accessing your blog. When I use Internet Explorer 11, it locks up as soon as I enter your web address. I get a error message saying script is hanging up and preventing the page from loading. I can access it from my Android phone but get screen flashes when I try to read it. Thought I would let you know so you can check it out to see what the script error is. Oh I love this so much!!! You are so talented and amazing!! 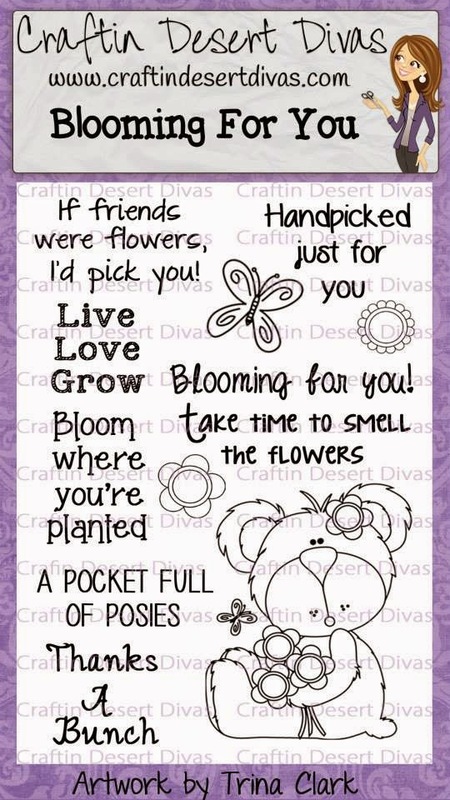 Hope you had a great weekend, woth lots of cratfy time snd great weather, I'm so looking forward to September I'm off the entire month...lots of crafty time! Such an amazing design Lisa! The papers and flowers are incredibly beautiful! 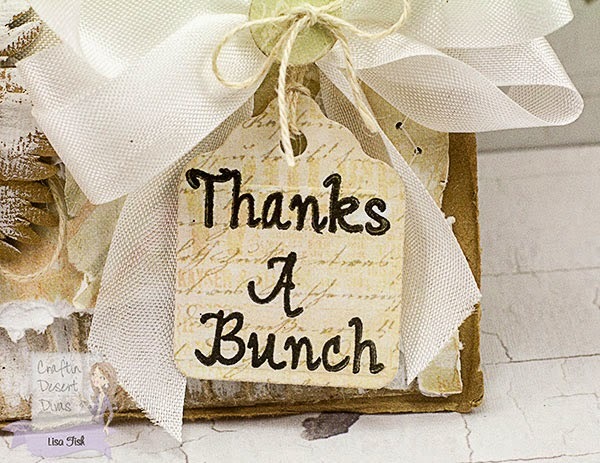 I love the adorable tag and sentiment!